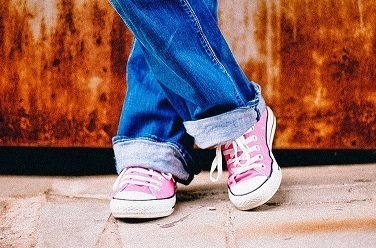 Why doesn’t my daughter have an arch? I saw an 18 y/o young woman today in my practice who was 12 weeks out on her surgical procedure to correct posterior tibial tendon dysfunction (PTTD). Following her surgery, the patient had spent 8 weeks in a hard cast and 4 weeks in a walking cast. She was now ready to return to shoes when her mom said, “Why doesn’t she have an arch?” Good question. What are the procedures used to treat PTTD and will they create an arch for every patient? Posterior tibial tendon dysfunction was first described in the literature in 1936 but was defined by Johnson and Strom in their classic 1989 Clinical Orthopedics article. (1) The Johnson Strom article classified PTTD in three stages. For more information on this classification be sure to check our knowledge base article on PTTD. What is posterior tibial tendon dysfunction? In my surgical consult with patients regarding surgical correction of PTTD, I often describe the foot as a ball under the leg. The primary goal in treating PTTD is to realign that ball under the leg. In symptomatic cases of PTTD you’ll see the heel collapse resulting in load bearing on the foot that is significantly more on the medial arch. Viewed from behind, the heels would appear as / \ . The poorly aligned heel then placed undue stress on the posterior tibial tendon, the primary tendon that supports the arch. Another contributing factor to PTTD is equines. Equines describes tightness of the calf and Achilles tendon. Equines limits range of motion of the ankle. In cases of equines, to acquire the needed range of motion at the ankle that is required for walking, the arch flattens adding additional strain to the PT tendon. Abduction of the forefoot is a secondary finding in cases of PTTD. The classic ‘too many toes sign’ is the test to evaluate forefoot abduction. When viewed from behind, the normal foot will not show the 5th toe. But in cases of PTTD that include forefoot abduction, the 4th and 5th toes become obvious when viewed from behind. What procedures are used to treat PTTD? Let’s take a look at each of these procedures in relationship to their ability to create an arch. We’ll use the three cardinal planes of the body to describe how each of these procedures is used to treat PTTD. Although an Achilles tendon lengthening is an integral procedure used in almost all cases of PTTD repair, the Achilles tendon lengthening affects the foot in the sagital plane and does not increase the height of the arch. Calcaneal displacement osteotomy – this procedure is also a mainstay of surgical repair of PTTD. The heel bone is surgically broken and moved medially (towards the inside of the ankle). The broken heel is then fixated with screws. This transposition of the heel is performed in the transverse plane and does not change the height of the arch. Flexor hallucis longus tendon transfer to the PT tendon – this classic tendon transfer is used to double the strength of the posterior tibial tendon. The long flexor tendon to the great toe is sacrificed and grafted to the PT tendon. These two tendons work in phase, meaning that the work at the same time and are a good choice for grafting. This increase in support to the PT tendon is a change that occurs in the sagital plane and does not increase the height of the arch. These three procedures (the trifecta) make up the core of procedures used to treat PTTD. These three procedures stabilize the medial arch but do not change the height of the arch. 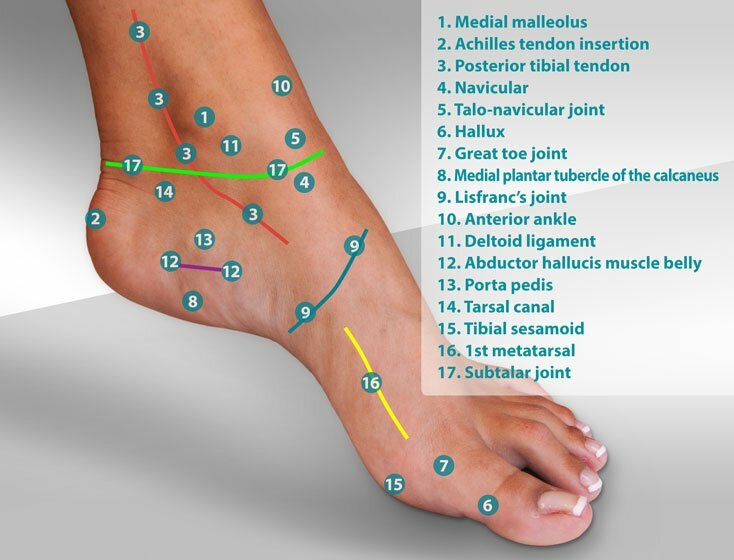 Evans procedure – the Evans procedure is used to treat forefoot abduction. The Evan procedure lengthens the lateral column of the foot by making a surgical break in the calcaneus and placing a bone graft in the osteotomy to lengthen the lateral column. By lengthening the lateral column you have, in turn, a relative shortening of the medial column of the foot. This shortening of the medial column may (not always) result in an increase in arch height. The Evans procedure is a correction performed in the transverse plane. Medial column fusion – a medial column fusion is a procedure where a saw is used to remove (resect) a joint in the medial column. By removing a specific joint, the medial column is shortened resulting in a significant increase in arch height. The medial column fusion is a procedure used to correct PTTD in the frontal plane. Medial column fusion is the least used procedure in correction of PTTD. Why isn’t there an arch created by most of the procedures used to correct PTTD? As you can see, each of the surgical procedures used to correct PTTD work in a different body plane. Remember the example I described earlier about the foot as a ball that we’re trying to center under the leg? 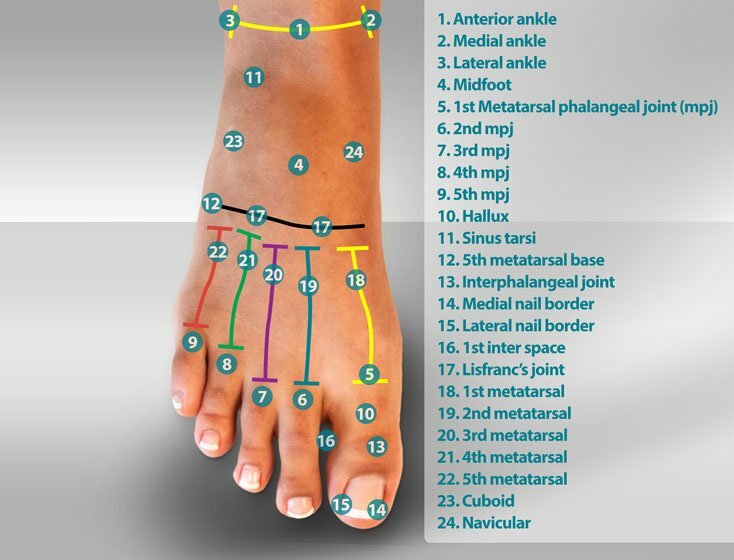 Planning a PTTD surgery requires that the surgeon choose a procedure(s) that will center the foot under the leg. Some of the procedures may create correction in the sagital plane while others may create correction in transverse or frontal plane. But as you can see, very few of these procedures, with the exception of the medial column fusion, create a new and noticeable arch. Surgical correction of PTTD does not, in most cases, create an arch. 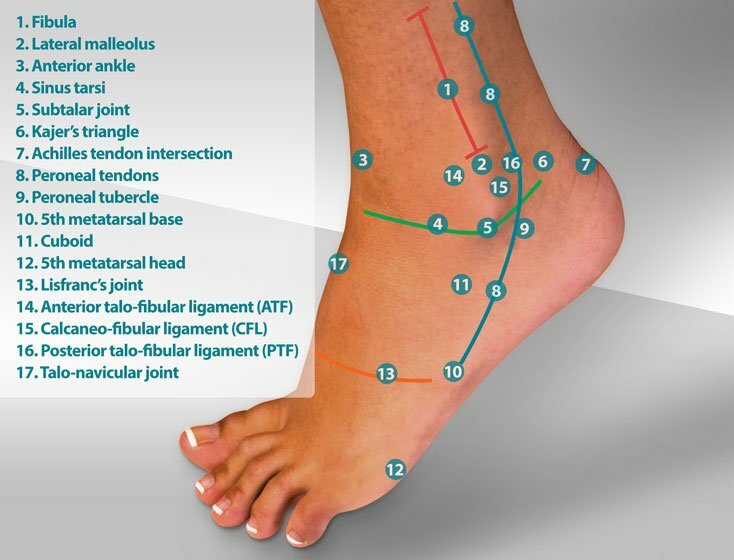 PTTD surgery does realign the foot and a number of unique ways (changes in bone structure, tendon transfers) that do place the primary load bearing of the body, directly over the foot. By doing so, this decreases the biomechanical loads applied to the posterior tibial tendon. 1. Johnson KA, Strom DE. Tibial posterior tendon dysfunction. Clin Orthop 1989;239:196-206.